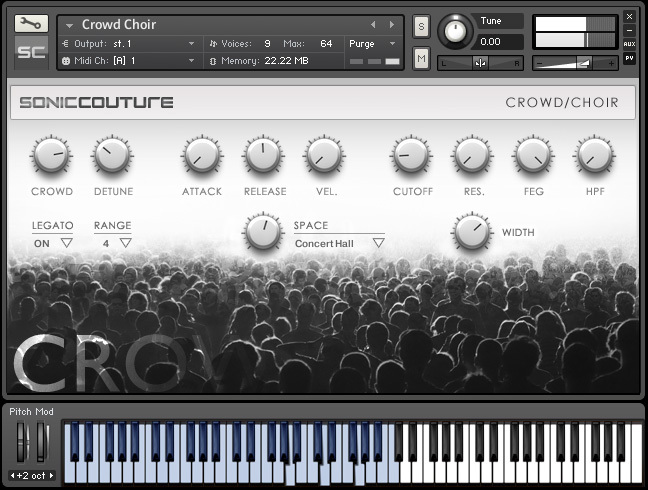 Found on the Soniccouture web site : CrowdChoir. The Crowdchoir project was an experiment in crowd-sourcing by Soniccouture, a company specializing in sampler VSTI’s : they asked people all around the world to each sing one note from a 3 octave range. Then they layered these recordings in a sampler to create a unique vocal sound – a wash of different voices in different rooms in different countries. The project was a great success according to Soniccouture: over 1000 people contributed to a final total that exceeded 4000 different notes. The instrument is now finished, and can be heard and bought on the Soniccouture web site. It costs 20,- Euro and all profits from Crowdchoir sales will be donated to The Red Cross by Soniccouture.